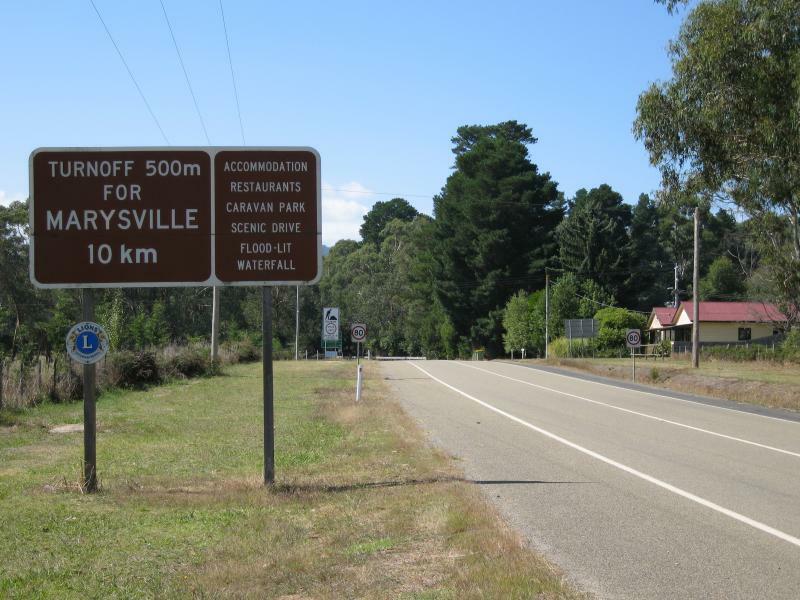 The following article was written by Andrew Campbell 20090209 and in the days following Victoria’s ‘Black Saturday‘ bushfire disaster(s) of February 2009. 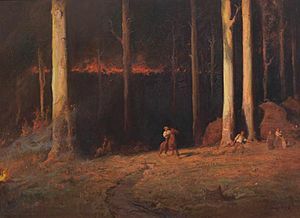 It is entitled ‘Thoughts on the Victorian Bushfires‘ and is reproduced with permission below. It contributes a insightful and reflective review as well as offering bushfire management reform initiatives out of this tragedy and ahead of future inevitable wildfire emergencies. Triple Helix Consulting site offers a range of information resources including publications, presentations and projects. As of February 2011, Andrew Campbell has taken on a new role as Professor and Inaugural Director of the Research Institute for the Environment and Livelihoods (RIEL) at Charles Darwin University in Darwin, Australia. This website will be maintained as a record of Triple Helix outputs, but Andrew’s more recent writings and talks will be accessible through RIEL. The images have been added. A friend in America asked me for my thoughts about some of the media and web reports circulating about the Victorian fires. response says about our collective knowledge base. The way we handle fires for me is one of the key indicators for how well we are learning to live in this ancient continent. The Victorian fires, and in particular some of the media since the fires, suggest that we have a long way to go in improving the ecological literacy of Australians and the body politic. please stand up” claiming that conservationists, tree protection policies and green groups’ opposition to hazard reduction burning are to blame for the fires — and by implication, the tragic loss of life and on-going suffering for people and wildlife — have been particularly ghoulish and offensive. Claims that more broadscale fuel reduction burning in Victoria’s forests would have prevented these fires and the horrendous loss of life are nonsense. The reasons why these fires have been so destructive of life and property are multiple, interacting, complex and systemic – inevitably a recipe for media to simplify and take short-cuts to reach a convenient narrative (even better if it can be polarised into two opposing camps) that ends up being misleading and unhelpful. Under those conditions, fuel reduction, access tracks etc are much less useful. These fires burnt through areas that had been burnt by wildfire in 2004, and logging coupes that had been clear-felled within recent years. Mountain Ash forests — the tallest flowering plants in the world — have a lifecycle adaptation to fire. They are difficult to ignite (because they are usually wet forests with predominantly smooth bark), but when the conditions are right, they burn ferociously, creating an ash bed suitable for their regenerating seedlings. As ash seedlings are shade-intolerant, they regenerate best after very hot fires that destroy the canopy. In the absence of such fires over their life cycle, they will not persist. When fires are exploding through the canopies of 200+ feet high trees with volatilised oils creating a superheated vapour, the ground layer becomes virtually irrelevant. Witnesses described huge trees literally exploding, and that is an accurate description under these sorts of conditions. There were few if any lightning strikes on Saturday until the cool change came through in the evening. Along with problems with power lines, arson probably played a role and two people have already been arrested. The authorities were getting saturation airtime on Melbourne radio and TV from Wednesday onwards, telling people to avoid forested areas if at all possible on Saturday. 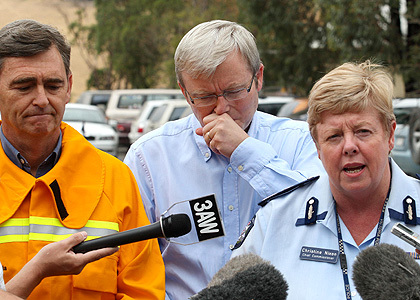 They were saying very clearly that Saturday would be the worst fire conditions ever experienced in Victoria. While these warnings were essential, it is possible that these very warnings motivated arsonists. There has been too little bushfire research on arson, but that which has been done suggests that it is an important factor in large wildfires. 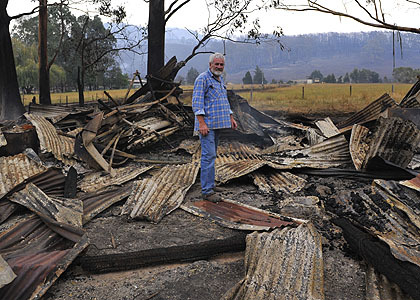 Australia (especially Victoria) needs a complete rethink of fire preparedness. With a drying, warming climate, these hitherto unprecedented conditions will become more frequent in future. Professor David Karoly of the University of Melbourne has explained that the maximum temperature, relative humidity and drought index (but not wind speed) in Victoria on 7 February were clearly exceptional and can reasonably be linked to climate change. 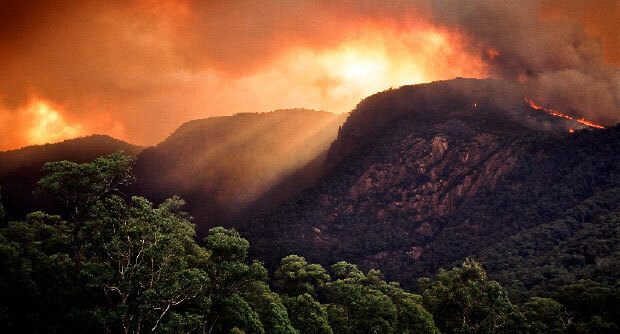 In early 2007, the Climate Institute commissioned the Bushfire CRC, the Bureau of Meteorology and CSIRO to undertake the most comprehensive and up-to-date assessment of the impact of climate change on bushfire weather in Australia. That report concluded that on the current climate change trajectory, very extreme fire weather days may occur around twice as often by 2020 and four to five times as often by 2050 across much of southern and eastern Australia. Few people have made the connect between fires and water supplies. If we did fuel reduction burns over the areas and on the frequencies advocated by the “it’s all the greenies’ fault” brigade, then water yields from forested catchments would drop, CO2 emissions would increase, species composition of forests would change and some species would disappear. Crucially, we would still have significant risks to life and property, both as a direct result of fuel reduction burns getting away, and because it would not prevent wildfires under the sorts of extreme conditions experienced on 7 February. Much better and mandatory training in fire preparedness for everyone in high-risk areas. The ‘leave early, or prepare, stay and fight’ policy remains the right policy. But the bar has been lifted for both options. Leave early means before the high-risk day (which is reasonable now that forecasts are so accurate). Prepare, stay and fight means being trained, equipped and ready with a plan B (the survival bunker) for those rare (but more likely in future) situations (>40C, <20% relative humidity, >80km/hr winds, super-dry fuels) like 7 February where fire behaviour becomes unpredictable and off the scale. If you don’t have such a bunker (see below) and the forecast is for such conditions, as was clear by 4 February, then you should leave very early. If you have a house in a beautiful bush setting on an elevated site that is difficult to defend, then a valid strategy would be to invest in insurance rather than bunkers, tanks, pumps and so on. Then get into the habit of leaving (and having critical possessions, pets etc organised) before extreme fire weather arrives. You’d then take your chances with the house, knowing that there is still a greater chance of being in a car accident in any one year than having your house burnt down in a bushfire. Even in this scenario though, I’d nevertheless reduce fuel loads in the vicinity of the house as far as possible. Turning off the gas supply at the mains on high-risk days would also reduce the risk for residences. Fuel reduction near houses is important. If councils are prepared to approve dwellings being built in high-risk areas, then it follows that they also need to approve the necessary clearing. But for small lots on high risk sites in forested regions, even total clearing may not be sufficient to ensure safety under extreme conditions, so much more consideration needs to be given to the landscape planning and development approval processes in the first place. For existing houses, if people have any intention of staying, it is important to have at least one significant area of cleared land free of flammable material. This is a completely different matter to broadscale fuel reduction over the whole forest estate. In times past, we would have called that cleared safe area a lawn. Now we need to look at other options. These fires proved that a parked vehicle (preferably a diesel) with the engine running and the air-conditioning on full recirculating could be a suitable survival shelter, provided it was parked on a large enough clear apron away from major fuel loads. But they also reinforced the well-known point that attempting to flee in a car in dense smoke once the fires are well underway is incredibly risky. For me, much of the media commentary, the so-called informed opinion and the human behaviour on display during and since the fires, underline the point that in many ways we are still behaving more like displaced Poms, than Australians who are adapted to living in this extraordinary continent. Rowan Reid from the University of Melbourne, wondered in The Age why it is that our weather forecasts don’t routinely report the fire danger index (see below) to better educate the community about likely fire behaviour. It’s also critical that people learn that on extreme fire days they must be well clothed, in heavy cotton from ankle to wrist, with a good hat (preferably a hard hat) and something to cover the face. I find that the hard hat with integrated visor that you can buy with your Stihl chainsaw is a good start. 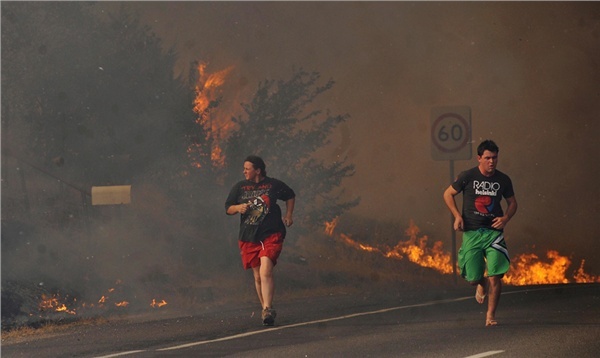 I cannot believe all the TV footage from the fire zones (in these fires and other recent big fires) showing people trying to defend their properties wearing shorts, singlets and thongs. There is a crucial distinction between strategic hazard reduction burning and managing fuel loads in the immediate vicinity of houses and townships; and broadscale fuel reduction burns across the whole forest estate. I think the former is under-done and the latter is overrated. The crucial point that must be underlined is that under very extreme conditions (Forest Fire Danger Index (FFDI) above 50 — see below), fuel loads are no longer the key driver of fire behaviour, compared with weather (some of which is fire-induced) and topography (especially slope). It is worth remembering that in January 2003, Canberra had a strip 5-10 km wide of flogged-out, drought-stricken paddocks with not a blade of grass on them as a “fire break” to its west, but this did not prevent fires from reaching the pine plantations on its western edge. Once that happened, then of course high fuel loads so close to houses (noting that the plantations were there before the suburbs) led to houses in Duffy, Chapman and Holder being lost. In the bush itself, there is a case for strategic hazard reduction burns in dry sclerophyll stringybark and box-ironbark forests, woodlands and grasslands. Done properly, strategic hazard reduction burns can reduce fire crowning behaviour and increase the probability of control under most conditions. There is a case for arguing that the 2003 and 2006-7 fires lasted so long because fuel build up over large areas made fire control more difficult. But it does not necessarily follow that the answer is therefore more frequent burning off on a larger scale. We need more and better research to understand the appropriate scale, pattern and frequency that will balance ecological health with (changing) fire protection objectives. Fuel reduction burning on the scale and frequency advocated recently by some advocates (e.g. 10% of whole estate every year) is a blunt instrument likely to lead to perverse outcomes without preventing large fires under catastrophic conditions. The word ‘strategic’ is important. It is easily abused, for example in proposals to clear great swathes of bush in “strategic firebreaks” that coincidentally align very well with freeway construction programs. For me, ‘strategic’ hazard reduction means consistent with a well thought-through strategy, based on the best available (preferably current) scientific research, with very clear and internally consistent objectives (which balance other public good objectives like water, greenhouse and biodiversity) and performance measures. Much that has been advocated recently fails those tests. Water catchments need to be handled very carefully or water yields will drop even further. Fire researchers are already questioning the increasing tendency to use back-burning as a first option rather than a last option in fire suppression, because it increases the ultimate size of fires and the length of the burning edge. Lives have already been lost during back burns. On balance, keeping more tracks open is justified, provided tracks are well-designed and maintained. Climate change means that the notion of a ‘cool burn’ is problematic. There have already been coroners’ inquests into the deaths of firefighters undertaking so-called ‘cool burns’. Fuel reduction in wet sclerophyll forests is difficult, because when the forest is dry enough to burn, it means virtually having a planned wildfire. Professor Peter Kanowski of the Australian National University has published a very useful briefing note on fuel reduction burning for the Institute of Foresters, pointing out that, while there is a case for more fuel reduction burning, there are many constraints, and it can’t be implemented in fire-sensitive wet eucalypt forests carrying heavy fuel loads such as the Mountain Ash forests north-east of Melbourne. extent of fuel reduction burning, we would be returning to a more ‘natural’ burning regime. Painstaking research by Ron Hateley of Clunes, in a forthcoming book drawing upon a wide range of primary sources from the diaries of the first settlers and explorers, finds no evidence of so called ‘firestick farming’ by Aboriginal people in Victorian forests. Such burning may have occurred on a modest scale in the open woodlands and grasslands of northern Victoria, but there is no solid primary evidence in either the early diaries, the sedimentary record or the dendrochronological record (tree rings) that Aboriginal people burned the forests of southern and eastern Victoria. Hateley documents solid evidence that historians and others have extrapolated evidence from northern Australia, assuming that Aboriginal burning practices in the northern savannas were also employed in the forests of southeastern Australia. Repeated and reinforced by authors as diverse and notable as Geoffrey Blainey, Tim Flannery and Phil Cheney, this has become an enduring and unhelpful myth. The primary evidence suggests that the tall wet sclerophyll forests and temperate rainforests of south-eastern Australia were characterised by a thick, almost impenetrable understorey, and not subject to regular firing by humans prior to European settlement. 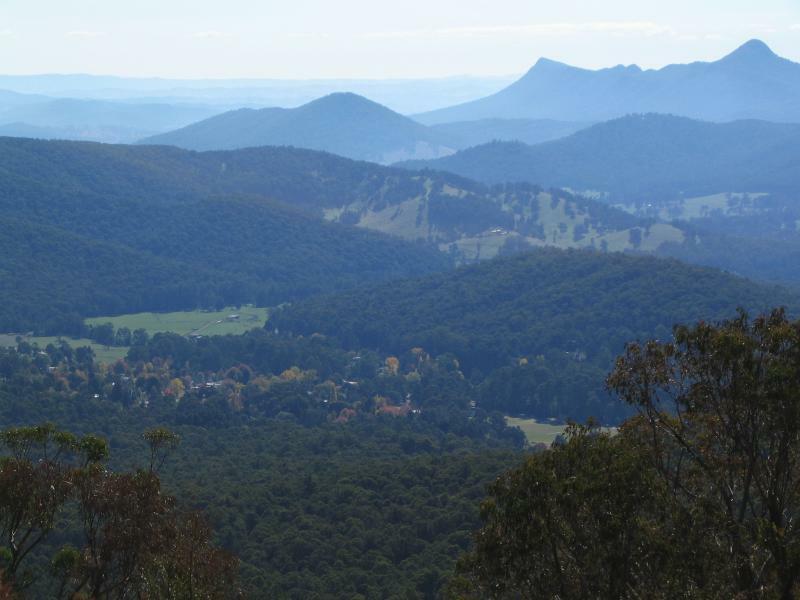 Phil Zylstra’s research, based on dendrochronology and charcoal and pollen deposits, suggests that fire frequency in the Australian Alps and the wet sclerophyll forests of south-eastern Australia has substantially increased since European settlement. Drying conditions mean that in south-eastern Australia, a ‘cool burn’ in our tall eucalypt forests is now most likely possible in spring, when marsupials and birds are breeding. Under contemporary conditions, fires at this time of year are very difficult to control and often become wildfires with consequent risk to life and property — especially as over recent decades we have approved so many more dwellings in and on the fringes of the bush. There is a torrent of ignorant opinion from self-appointed experts (mainly from outside Victoria, from people who were not there on Saturday (Germaine Greer being the most extreme example!)) hitting the media at the moment, blaming the greenies, the government and local councils for not doing enough hazard reduction burning. I see a grave risk that the intense and widely shared desire to implement measures “so that this can never happen again” (when of course it can and will), will translate into simplistic, one-dimensional approaches that default to non-strategic fuel reduction burning and increased clearing of native vegetation — with perverse and unintended consequences. No mainstream conservation organisation in Australia is opposed to well-targeted and managed hazard reduction burning. A drying climate and a very dry decade have narrowed the windows within which it can be done successfully, and many communities and people with respiratory problems complain about the smoke (not to mention the wine industry). measure of fuel dryness. It was developed in the 1960s and calibrated on a scale from zero (no fire danger) to 100 (‘Black Friday’ 1939) for both forests and grasslands. Fuel reduction research has mostly involved small-scale experiments at FDIs between 10 and 20. A forest FDI (FFDI) above 50 indicates that, due to fire crowning and spotting behaviour, weather becomes the dominant indicator of fire behaviour, and it becomes impossible to fight a running forest fire front. When eucalypt forests are crowning, fuel reduction at ground level is academic. Recent research suggests that with a drying warming climate we are now seeing unprecedented FDIs, and need to introduce a new fire danger rating above ‘extreme’ called ‘catastrophic’ to more realistically present the dangers associated with days like 7 February. Much of the recent criticism of Victorian authorities is unfair, or at best premature. The Victorian authorities have more expertise in these sorts of fires than anyone else. It should be remembered that over 300 new fires started in Victoria on 7 February, and only a dozen were not rounded up, which was a great effort. But those 12 major fires, under unprecedented conditions, caused enormous damage and horrible loss of life. None of the 181 deaths announced up to 10 February were firefighters, which is a huge improvement from Ash Wednesday 1983 and Black Friday 1939. Tragically, one volunteer firefighter from Canberra has since been killed by a falling tree, and several others have been injured by falling limbs in trying to secure control lines. But overall, the marked reduction in firefighter casualties from the firefront itself, compared with previous large-scale fires, is commendable. 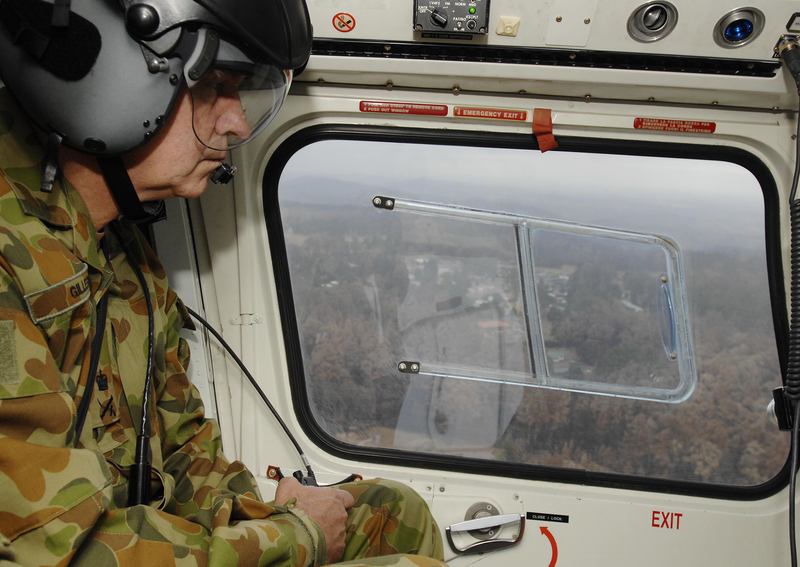 The Victorian inter-agency coordination processes, their large fire management systems, their aerial detection, airborne infra-red fire-mapping systems, their personnel training, and their community education and communication approaches are already up with the best in the world (especially considering their resource constraints compared with say California). This is entirely appropriate given that Victoria is the most dangerous wildfire region anywhere, in its combination of climate, fuel types and fuel loads, topography and population density. That is not to suggest that all these things and more could not be much better — as the Royal Commission will no doubt reveal. Professor Rod Keenan, Head of the Department of Forest and Ecosystem Science at the University of Melbourne, has written a perceptive piece arguing that we need to rethink Bushfire Governance at the national level, supporting a stronger national approach to bushfire and land management. I agree with Rod on this, as the intersections between fire management and other national priorities such as climate change, greenhouse gas emissions, water yields and biodiversity conservation are acute. we will need in a much more challenging future for fire management in Australia. We have already made a good start with national coordination of aerial fire-fighting through the National Aerial Firefighting Centre (NAFC) and in collaboration across States and Territories through AFAC. But more could be done, and the Australian Government could be taking a stronger leadership role beyond just providing funds. These fires, against the background of climate change, herald a new era. We now need to achieve a comparable improvement in preparedness, training, equipment and discipline across the wider community, especially in high-risk bushfire zones. This is a mammoth and systemic education, planning, policy, technical and management challenge. It will inevitably mean allocating more resources to these tasks than we have in the past. The public response to these fires in donating hundreds of millions of dollars has been heart-warming. Governments always seem to be able to find funds for rescue packages and disaster response measures after the event. But our record in investing properly in prevention and risk management is modest at best. Just as the post-mortems of 1939, 1967 and 1983 also led to fundamental re-thinks and systemic improvements (albeit with patchy implementation), so will the Royal Commission into these fires. The whole planning system should be overhauled, way beyond just building codes and vegetation management. Premier Brumby and his cabinet — and I suspect now Kevin Rudd — appear to understand that business as usual will not do. They also seem to understand the link to climate change in making events such as these (and worse) more likely in future. But they have yet to make the logical jump to the urgency of mitigating climate change, which means setting ambitious targets, and retooling the economy from top to bottom to achieve them. I’m reminded of the challenge of running whole farm planning courses for farmers in the mid-1980s, looking at how to redesign farm layout and management to get a more synergistic blend of conservation and production. It was difficult to get farmers to imagine an entirely new farm layout — the fences on the ground had become fences in their heads. The most effective technique I found was to say “imagine that your farm has just been burnt out, and all the fences and infrastructure have been destroyed. Would you put them back exactly as they were before?” Invariably, the response was an emphatic ‘no, of course not’. That simple scenario exercise often unlocked their imagination and strategies for how the farm could be redesigned to better ‘fit’ into the landscape, its soil types, hydrology and land forms, rather than be superimposed on to it in a rectilinear fashion dictated by some colonial surveyor 150 years ago. our economies, and our basic systems for food production, energy, transport, water and housing, to fit new climatic, ecological and economic circumstances. 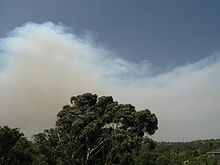 bushfires are not new to Australia. This entry was posted on Monday, June 18th, 2012	and is filed under Threats from Bushfire. Professor Campbell’s article is an excellent exposition of the problems arising from our society’s cultural delusions about bushfires and their control by fuel reduction burns, which, if not challenged and implemented without understanding of the ecological differences of different forest types or environmental vegetation classes and sizes of remnants, will lead to biodiversity loss with consequent escalation of both climate change and intensity of fire. It is regrettable though that professor Campbell failed to make a distinction between the case for strategic fire hazard reduction in dry sclerophyll stringy bark forests, weed infected woodlands and grasslands and the Box-Ironbark forests like those in the Bendigo District region, which are not prone to fire as evident from the presence of fire non- tolerant species such as the Whirrakee Wattle (Acacia williamsonii) and where the fire threat to properties comes mainly from cleared lands and road reserves infested with such fire prone exotic environmental weeds as Pampas grass, phalaris, rust, dock, pine and cypress tree species. It should be noted here that the Black Saturday fire in Bendigo was lit by 2 boys in a weed infested territory and which then spread along a weed infested corridor burning properties on its boarders. Today the weeds are back again and instead removing them, DSE is burning the forest to fulfill the fuel reduction quotas. 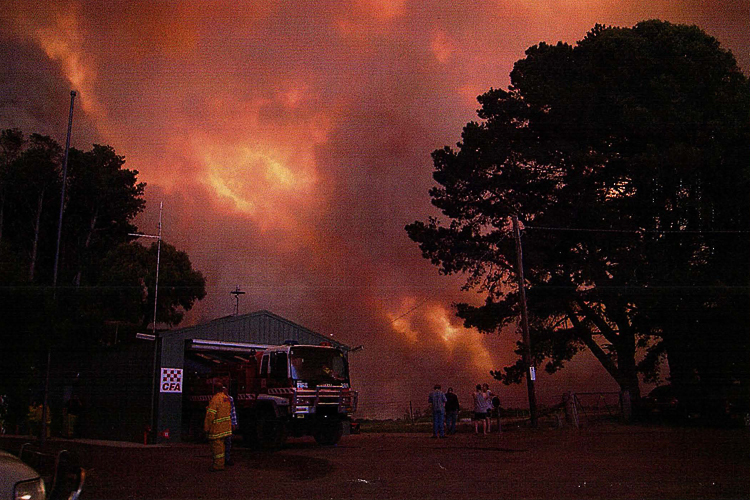 Ten years before the Black Saturday, we brought the fire threat posed by the weeds in Bendigo to the notice of the authorities, but it was ignored just as it is being ignored today.